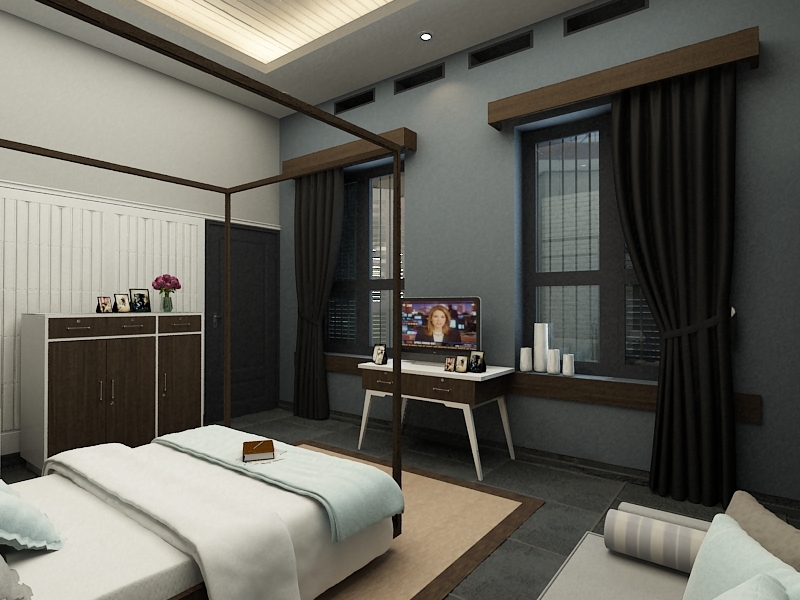 Located on the main road in north area of Surabaya, this house is a family legacy passed down to the second and third generation and hold sentimental value for the family. 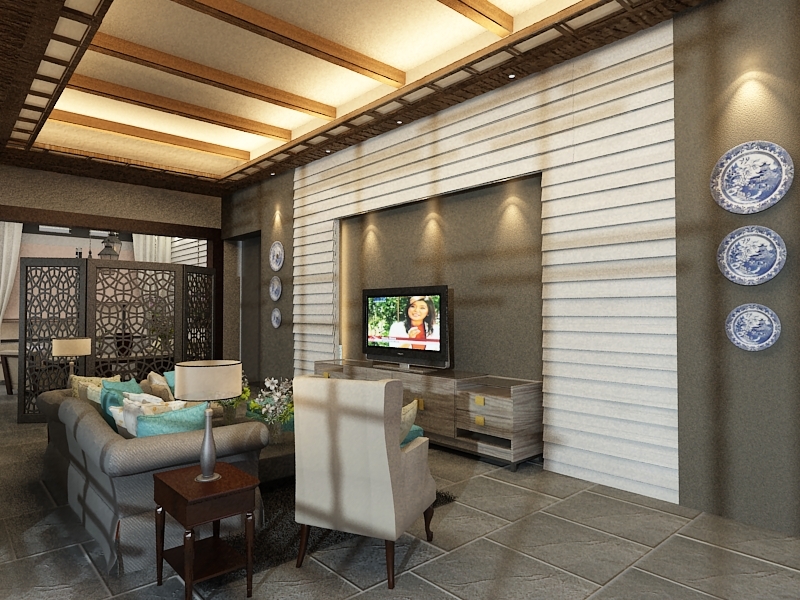 Therefore working on this project is like reminiscing the childhood memory for the grandson, who handle the renovation project and coordinating with the designer. Wanting to bring back the splendor of this house without disrupting the basic architecture while in the same time giving a fresh start is quite a challenge. This house was built in Jengki style which was populer in Indonesia during 1950-1970s. 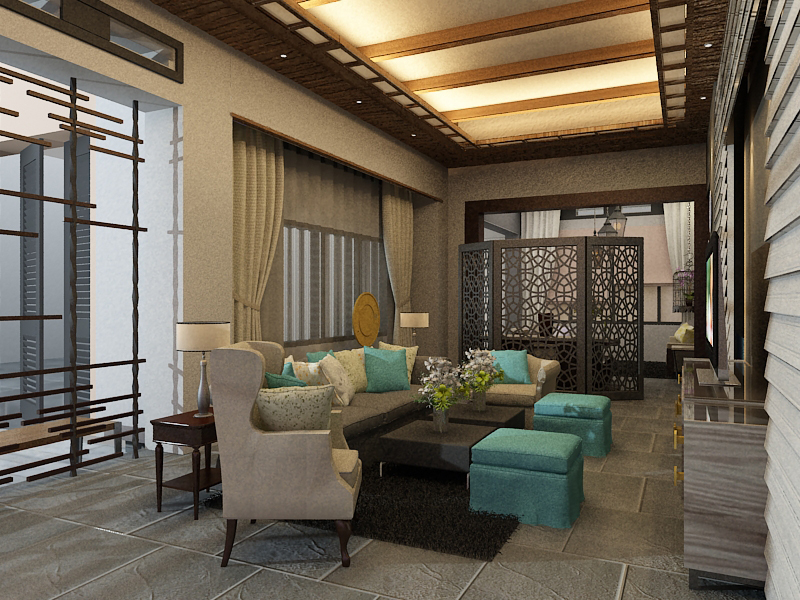 Thick walls and 4 meters high ceiling, steep roof, are some common traits adopted from previous populer Dutch colonial style. 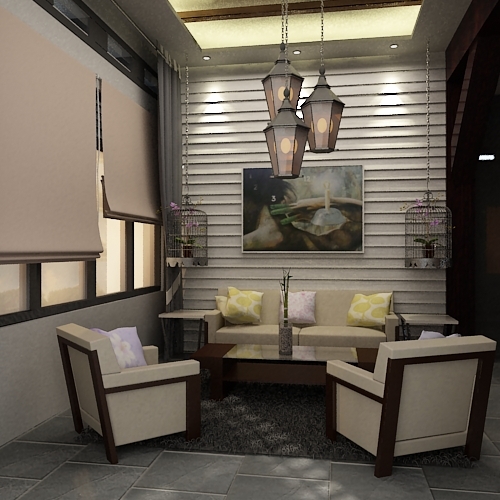 After long discussion, we came up with the industrial vintage concept that is approved immediately by the owner. 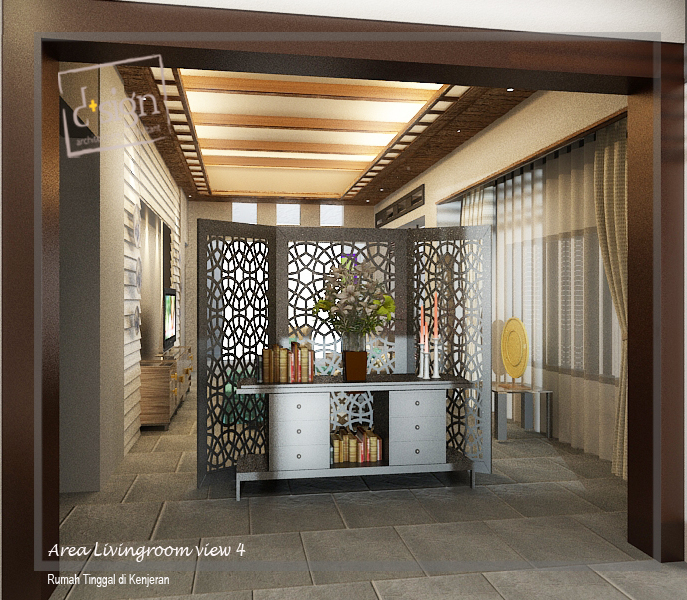 In this post I also add several exsisting pictures and the design rendering concept for comparation. Starting from the foyer area, we decided to use a gray painted pivot louvre partition to replace windows overlooking the courtyard from foyer area. Giving a great natural light and air access to the whole room. 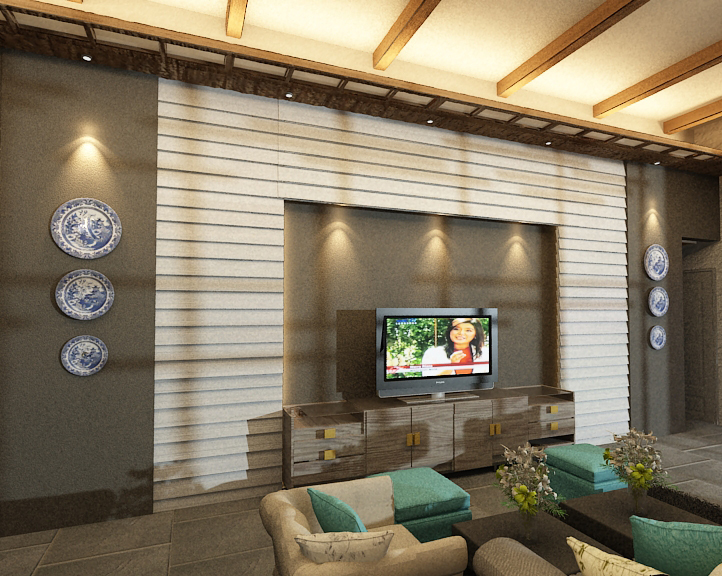 We added white calciboard siding plank alongside the foyer and living area walls to give it a more country-vintage look. We also replace the old eternit ceilings with plastersheet ceiling and wood grain texture calciboard for wooden beam look alike. A refurbished teakwood credenza is placed below a signature painting from the owner’s collection. Simple cream armchairs on each side of the credenza completing the whole arrangement of this foyer. Right accross the foyer is the guest room. Vintage sofa and arm chairs are refurbished with new fabrics to give them a fresher look. 2 hanging metal birdcage serving as hanging vase on each side of the sofa and vintage lantern chandelier giving the guest room a vintage yet industrial feel. 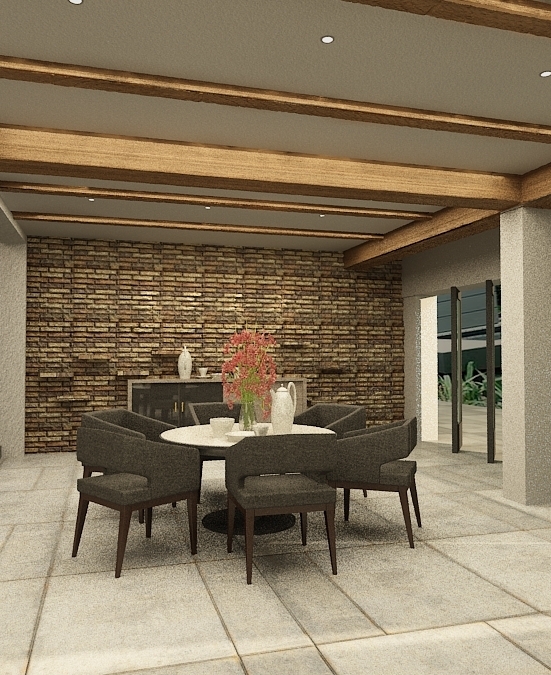 Stepping into the living room, we are welcomed by white siding plank, natural stone finished wall and hardened concrete finished flooring giving a more cozy rustic ambience. Antique chandelier hanging from the wooden beam ceiling emphasize the vintage feeling. Giving it a sweeter tone, pastel colour cushions, puffs, and drapery are added to complete the whole arrangement. 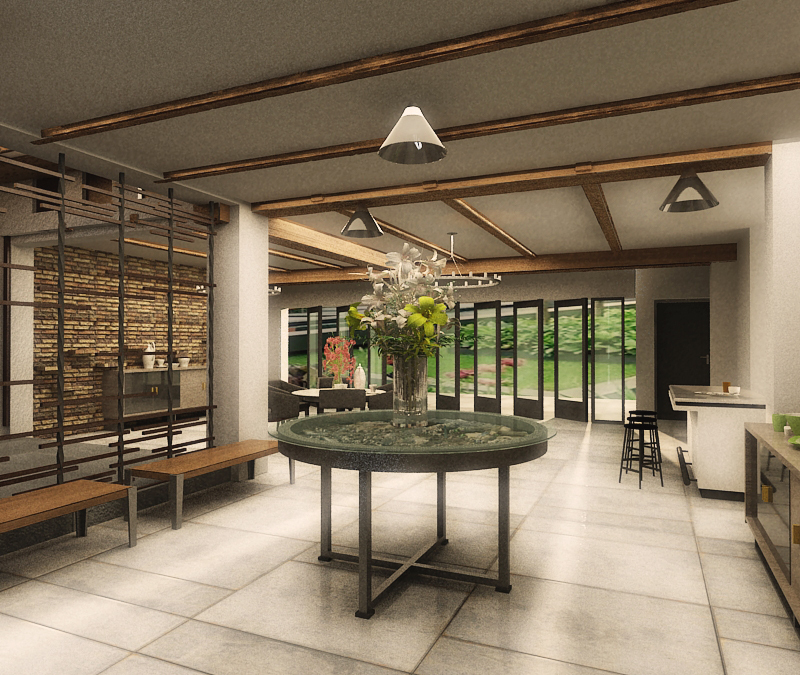 The dining and lounge area is designed for spacious feeling and emphasizing the rustic ambience by giving it a natural unfinished look of brick wall and wooden beam ceiling. Heading to the pantry which is located next to the lounge area, we are welcomed by a strong vintage industrial ambience. 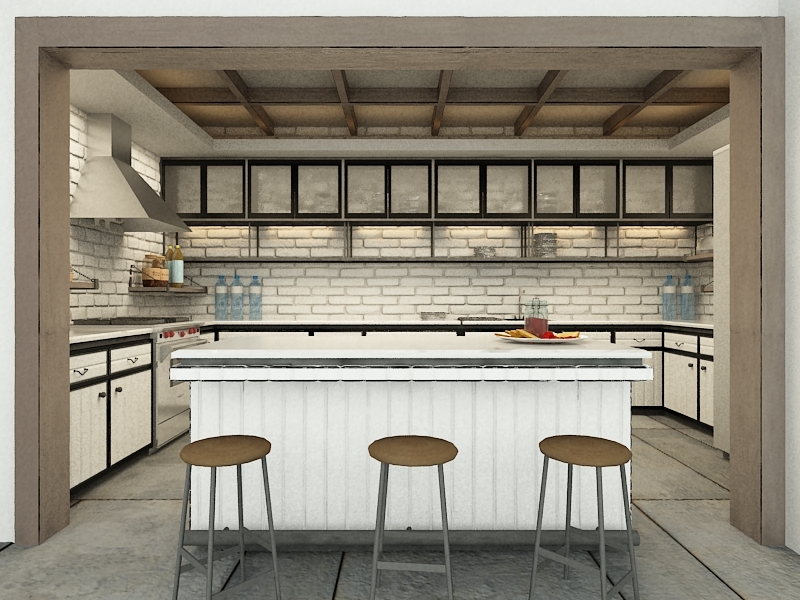 From the white brick wall alongside the pantry, the white siding plank detail in every cabinet, and black painted iron frame hanging cabinet on the back side of the pantry. 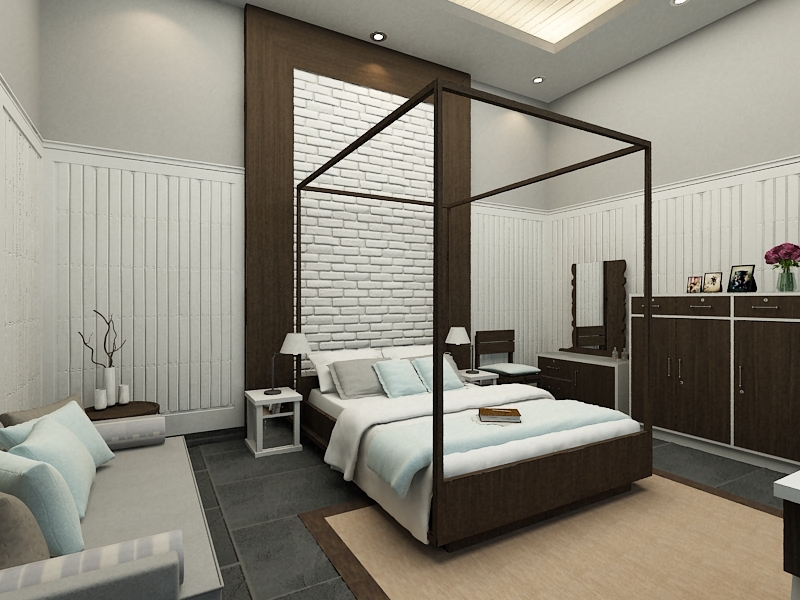 The master bedroom is quite spacious with high ceilings and oversized windows overlooking the courtyard. Like most buildings in the time this house was built, thick walls and high ceilings are most common to give a better air circulation inside the building, but at the same time giving a gloomy and cold ambience. 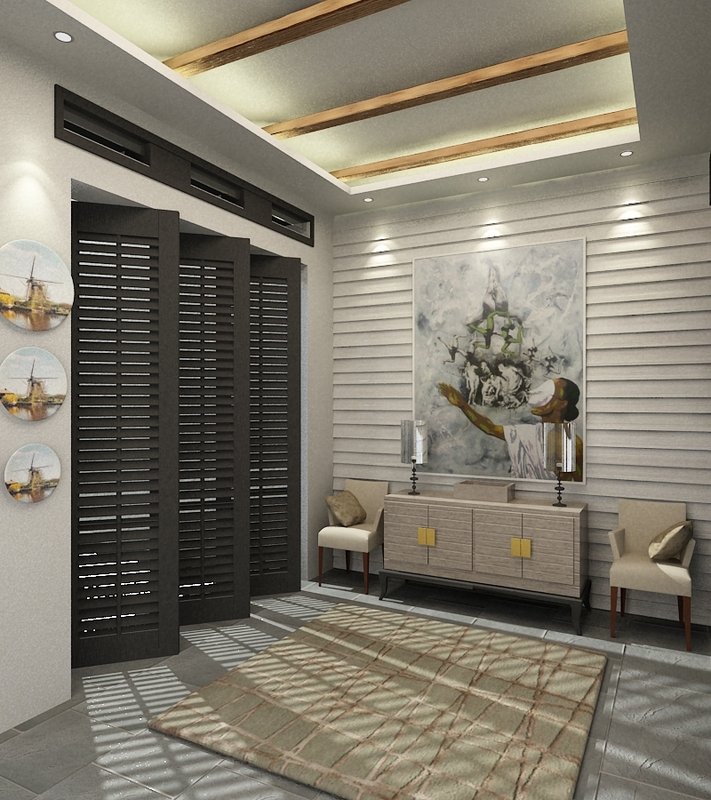 To give it a more intimate and cozy scale, we attached wood plank panel alongside the bedroom walls and adjust the height with the existing door. Therefore manipulating the actual height of the room for a more intimate ambience. A four poster bed in the middle of the room acts as the focal point. What I like the most about this house is actually the originality of the concept. The vintage ambience. The memory and story behind every single piece of furniture and walls. All of that giving this design a new meaning. This entry was tagged dplussign, house, interior design, renovation, www.dplussign.com. Bookmark the permalink.